Today I had a wonderful experience. I got to teach Relief Society (Women’s organization at church) for the first time in a long time. I had the choice of any talk from General Conference and I decided on one called Try Try Try by President Eyring. Here is the talk if you would like to read it (I think it would be encouraging to those of any faith). The main thrust of the talk is about overcoming hard times and never giving up hope. Naturally it being Christmas time I decided to relate the talk to this time of year. I created a powerpoint to walk through the lesson, which I don’t always do but it just felt like the right approach this time. Then just for fun I added in some famous quotes from Christmas movies. I was a little nervous going into it because technology can go very wrong and I am a bit rusty teaching (I was a Sunday school teacher for over 5 years in my late 20s so I was basically a pro!). The RS presidency went above and beyond to help me and were amazing and several of my friends came to listen to my lesson, which was very sweet. To my relief it all went very well. Everyone made great comments and we had an uplifting discussion. I feel very inspired! Here is the full powerpoint as a video. Feel free to use it as a family home evening lesson or anything else that might be helpful for you and let me know how it goes. Should I Change My Blog Name? This year marked my 10 year anniversary with this blog Smilingldsgirl. If you are new to the blog you might not understand this name but it is Smiling and girl combined with an acronym LDS which stands for Latter-day Saints or The Church of Jesus Christ of Latter-day Saints of which I am a member. This name came about when I set up an email after my mission- a happy and religious time of my life and I felt fortunate it was available. It will be interesting to see how far they go with this new direction (and slightly ironic as it was released on http://www.mormonnewsroom.org). If they change the name of the choir that will be very shocking but other than that it isn’t entirely new. The church has been encouraging clergy and reporters to use the correct name for years. All the while using the shortened varieties in missionary efforts and more casual outreach. It now seems like there is going to be a push to be accurate in even those areas and it will be interesting to see how far they take it. So some have asked me whether I am going to change the name of my blog/twitter handle? I’ve given the matter some thought and for the moment I am not going to. However, I am going to try to use Latter-day Saints or the full title The Church of Jesus Christ of Latter-day Saints in my prose and whenever I speak of the Church in videos. I feel this is living the spirit of the law rather than making my name an unwieldy length. If the Church gets rid of similar handles like Mormon.org, Mormonnewsroom.org, the Mormon youtube channel, LDS Philanthropies ect and especially if they change the name of the Mormon Tabernacle Choir than I may reassess this decision. But for now I feel this is the right decision for my blog. Let me know what you think of this emphasis on the full name by the Church and what you would do if faced with a similar situation? I then promised to explain this tweet and so here I am to elaborate! First, I should state that I enjoyed the film. It’s an old school, classic family musical. It is written by the same people who made La La Land, and I honestly prefer it. I like the songs better. I like the message better, and I just think it is more of a fun time. Take your family and go enjoy yourselves at the movies! 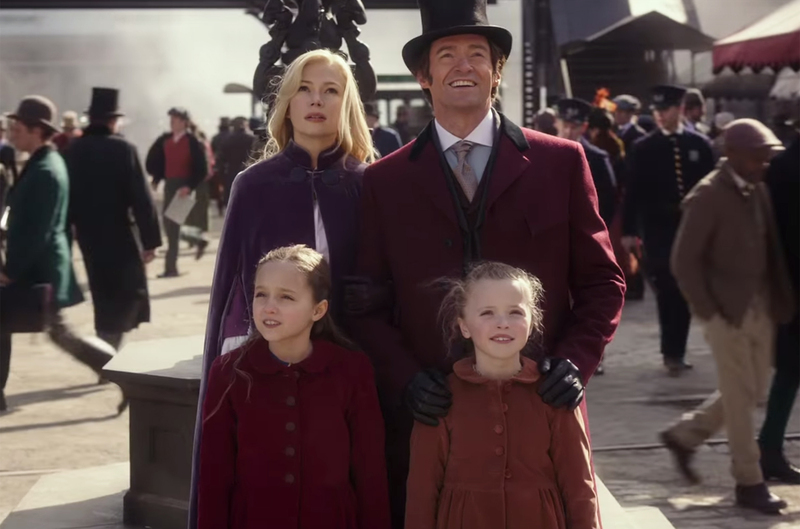 Obviously The Greatest Showman has no Mormon characters and is not a faith-based film, so how can I say it is the ultimate Mormon movie? Well, it comes down to themes, style and messaging that will ring true for many Mormon people (obviously speaking in broad generalizations here but I have yet to find a Mormon who dislikes the film…). The first reason is that Mormons see themselves as ‘peculiar people’. Several times in scriptures we learn that the “Lord hath chosen thee to be a peculiar people unto himself” (Deut 14:2). This is something Mormons take very seriously and wear with a kind of pride. For example, each year BYU is voted “the most stone cold sober school in the US.” Most of us are are very proud of this designation and boast of it when promoting the church. Look at this video BYU put out heralding the accomplishment. But this idea of the Mormon Misfit goes back to the church founding where such practices as polygamy and communal living certainly made the people peculiar.We were literally expelled from several states and an extermination order written against us by a state governor (another source of pride). Mormons have unique views on marriage that helps them bond with The Greatest Showman. We believe that marriage in the temple can be for time and all eternity and that the bond between a couple lasts forever. Children are an important and sacred calling for a couple but it is a marriage between 2 people that the highest ordinance of the church is based. There is nothing more important than a faithful marriage to most Mormons. In The Greatest Showman PT Barnum is shown as a young child who is the son of a poor tailor. He meets a young girl named Charity who he bonds with immediately and the two are obviously destined to be together. These children grow up to be Hugh Jackman and Michelle Williams and they leave her parents, get married and have two beautiful daughters. This is literally the dream of nearly every Mormon person. Barnum is also very sweet with his daughters creating a world that shelters them from the troubles of his work and other stresses. This is encouraged in Mormon households as we have Family Home Evening and other family time to teach, fortify and bond as a family. The scene where Barnum gives the girls a special lamp might as well have come out of a church movie. People that did not grow up in Utah or Idaho may not be aware of the theatrical traditions of the Mormon people. In fact, when the Saints arrived in Utah one of the first buildings they erected was a theater. Along the pioneer trek the Saints were known for having dances, reciting poetry and singing in choirs. Today there are few places that support regional theater the way Utah does. Literally every town has their own little theater. We also have the Mormon Tabernacle Choir, Utah Symphony, Utah Opera, Ballet West and the Utah Shakespeare Festival- all institutions that have received national recognition (to name a few). Utah is very dance focused and whether it is team dance or ballroom dance students are taught young and are encouraged to display their talents. These performances are usually clean cut, boisterous shows that are very similar to what you get in The Greatest Showman. Before every temple dedication there are cultural celebrations with grand theatricals and BYU is famous for its acapella, dance and show choirs. People eat that stuff up and it’s just part of the culture. You could argue that Zac Efron became a star based off of the Mormon template of entertainment. All the High School Musical movies were filmed here and are very emblematic of the type of musical that is popular. 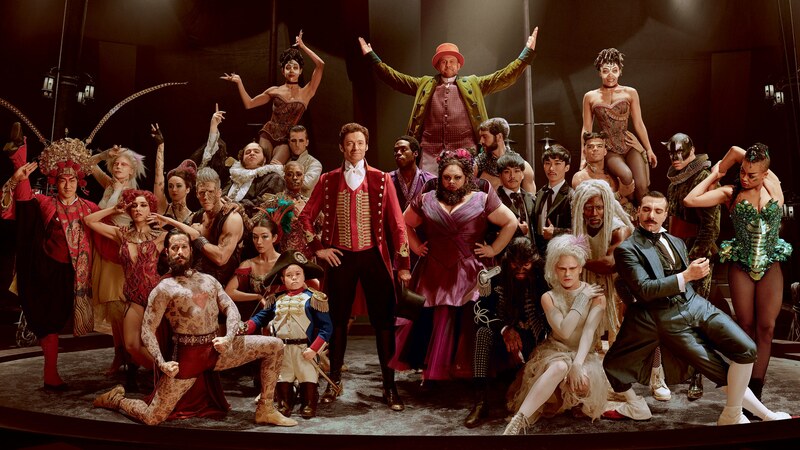 I am well aware that the version of PT Barnum we get in The Greatest Showman is mostly fictitious, but I think that is largely irrelevant for the effectiveness of the musical. Nobody cares that The Sound of Music is wildly inaccurate to what happened with the von Trapps. Certainly no one should be looking at a fluffy musical for historical accuracy. So, if we just take the character presented in the movie it is a very appealing for a Mormon audience. He is literally the man who invented the phrase ‘show business’. He gathers his group despite everyone laughing in his face and Mormons relate to that spirit. I mean most Mormons are either returned missionaries or related/married to one. The idea of being a bold thinker and being rejected is very attractive. 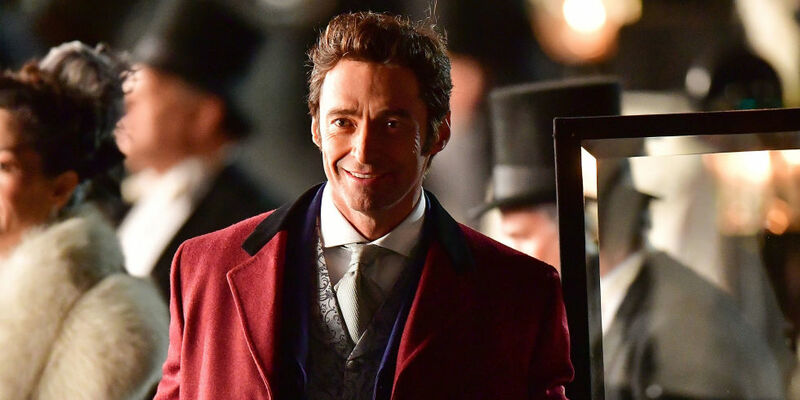 The Greatest Showman is not a perfect movie. The script could be better, but it does a good job selling itself to a Mormon audience and evidently the producers thought so as well because they did a very early screening of it in September here. Whether that will turn out to be a good approach to take across the country will be interesting to see. It certainly selling out here! Pretty much all my local friends on facebook and twitter who have seen it, loved it. Just it being a PG live action film alone is enough to excite people here but you add in grand musical spectacle and you have a winner! Merry Christmas friends! Today is the first day of December and that means the beginning of the holiday season. I must admit to having a weird relationship with this time of year. As a child of course it is magical but as an adult it has often been a stressful time for me. There always seems to be a fair share of family drama and I almost always get sick, which makes it harder to enjoy myself. However, I do try and be as festive as possible. I should be setting up my Memory Tree for Christmas this weekend and I always go to Christmas Carol at Hale Theater, as well as a number of other activities. This year my church is doing something that will hopefully help me get even more into the Christmas spirit. It is called the Light the World campaign. Each day they have a video and scriptural passages meant to get us thinking about Jesus and all He did for us. I am not going to share every day on this blog but I thought I would let you know about the campaign and share about it from time to time. Today’s message is about service and having an eye out for those in need. What are some ways you serve your community? How does Jesus put opportunities in your path to help others? I would love to hear any suggestions you have. I hope you enjoy the Light the World campaign and Merry Christmas!